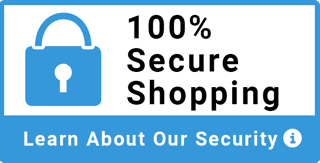 The secure and automated Vendor Payment solution for business! 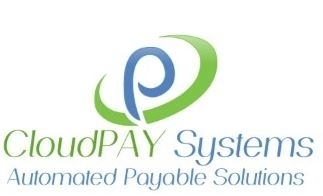 CloudPAY is designed to SAVE your company money and speed up the Vendor payment process. Using your current accounting system, CloudPAY will manage all your vendor payments and save you over 80%in payment processing costs. No changes are needed to your current accounting system or data files. We integrate with ANY accounting system and have a minimal impact on your IT department during setup. Setup takes is less than 45 days and we do all the work. Use your current payment approval process for continued security or add more layers of approval for additional security. Review and approve payments remotely before they’re sent to vendors. View and approve payments before they’re released from anywhere in the world from your smart phone! We take your current payment output file and give you the ability to process 5 types of payments. First… Your payment file is uploaded into CloudPAY. Then we notify your approver of the pending payments so they can view and approve one or all of them. When they’re approved, vendors receive an instant Email notification of their pending payment and they’ll select how they want to be paid. Once payments are processed, CloudPAY sends a detailed file back to your accounting program for easy reconciliation. 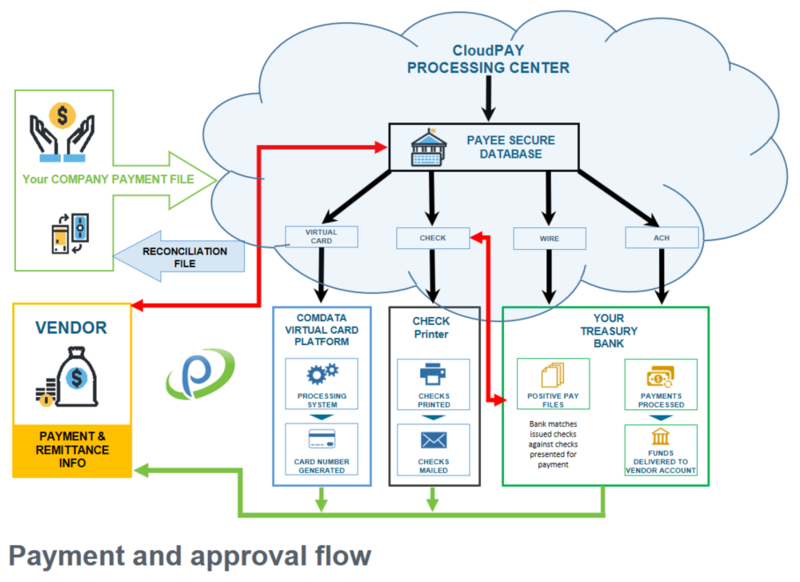 Call or email today to set up a demo and see how CloudPAY Systems can streamline and upgrade your vendor payment process.